The Curiosity rover is currently making its way across the Martian surface and taking revealing pictures of the distant planet. But some conspiracy theorists are finding strange evidence in amongst the pictures and video that Curiosity beams back. 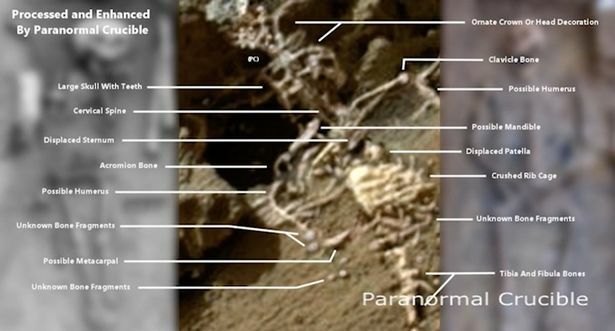 The latest appears to show a skeleton sprawled on the rocky landscape. Lifted from a June 2015 picture from Curiosity, a video posted on YouTube channel Paranormal Crucible highlights the human-like shape of some of the ‘bones’. The channel has over 100,000 subscribers and is well respected in conspiracy theory circles. “The relic has a large skull adorned with an ornate or decorative head piece, this could indicate that its the remains of a king, religious icon or perhaps a fallen warrior,” explains the owner of the channel. Favoured UFO commentator Scott C. Waring has weighed in on the debate. He – unsurprisingly – reckons we should take the discovery very seriously. “This is enough evidence to rock the palaeontology world off its high horse,” he said. All told it’s been a busy week for apparent Martian alien sightings. Pictures showing dots and dashes on the surface of the Red Planet were thought to be Morse code. Unfortunately, the experts didn’t agree. 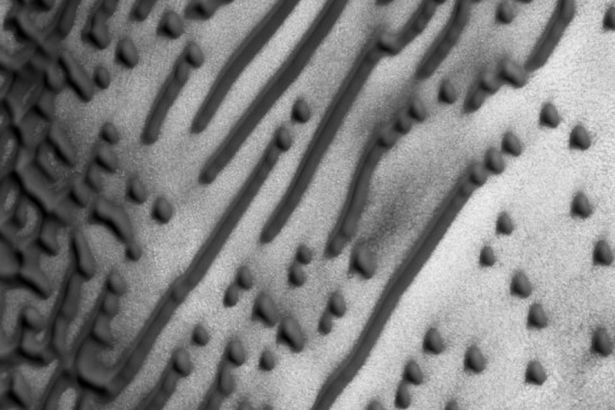 “The ‘dashes’ are linear dunes formed by bi-directional winds, which are not travelling parallel to the dune,” concluded those familiar with the high-performance camera that took the shots. 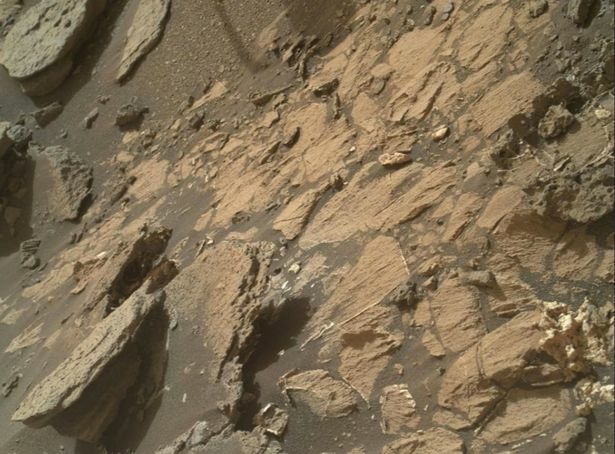 Of course, if a skeleton *did* exist on Mars, the repercussions would be huge.